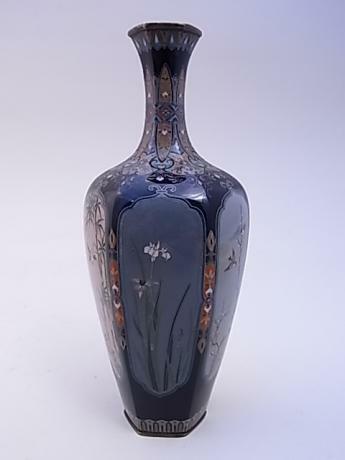 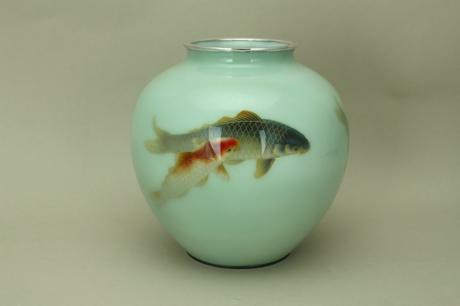 Japanese early 20th century cloisonne vase by the Tamura Cloisonne Company. 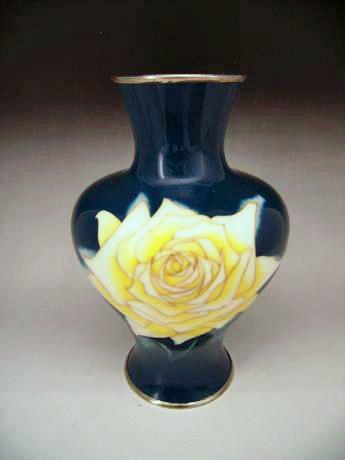 The blue colored vase has a large and beautiful yellow rose blossom. 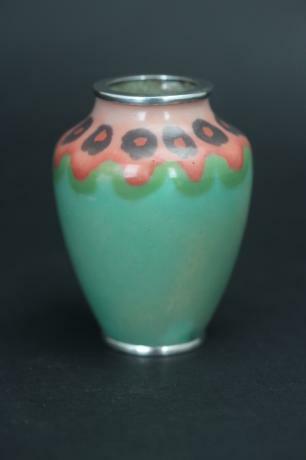 the silver toned metal rims appear to be chrome. 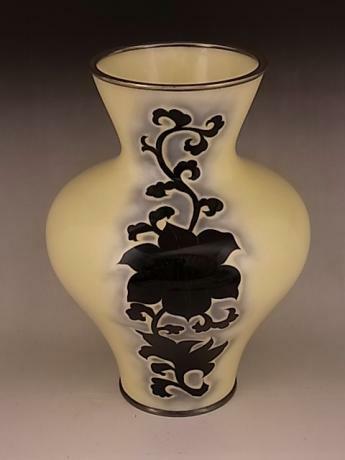 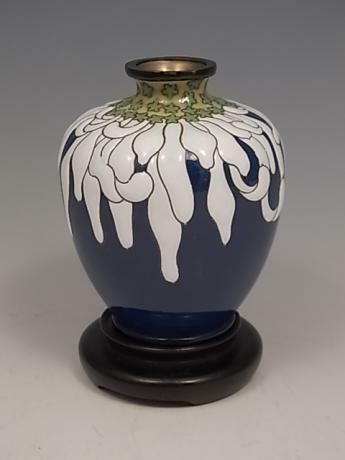 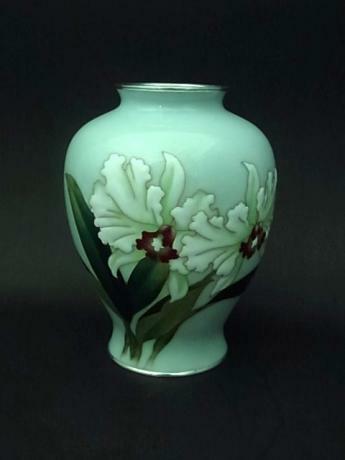 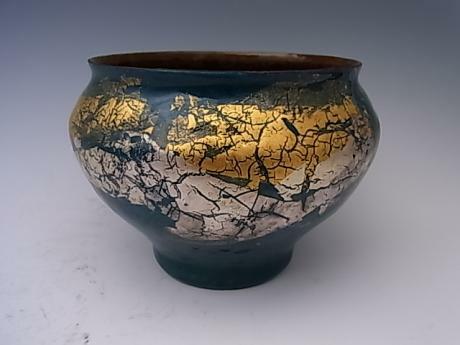 The vase measures 9 7/8" tall and 6" in diameter. 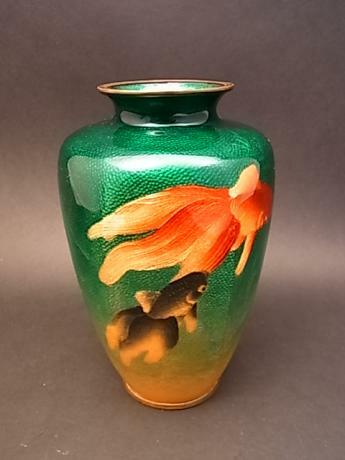 The vase comes with TOMOBAKO, the original artist ..
Japanese early 20th century cloisonne miniature vase by HATTORI TADASABURO. 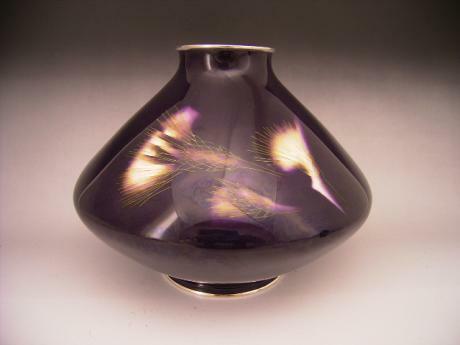 The vase measures 2 3/4" tall.